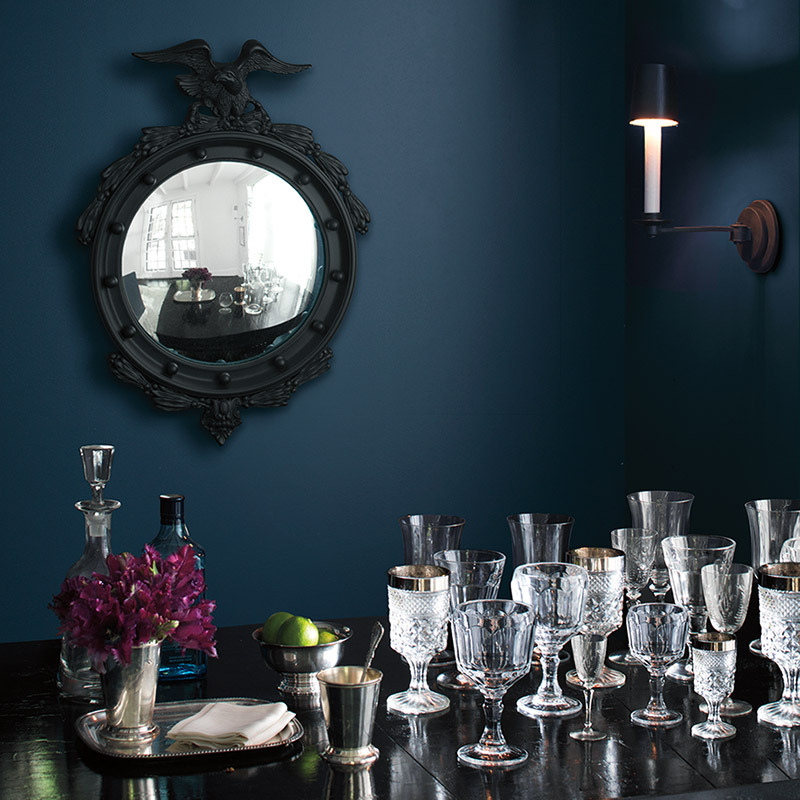 There are many choices when it comes to buying paint and I’ve run through the list. For some time now I’ve been buying all my paint from Bloomington Paint and Wallpaper – our local Benjamin Moore dealer. I always look forward to when suppliers release the color trends for the new year. 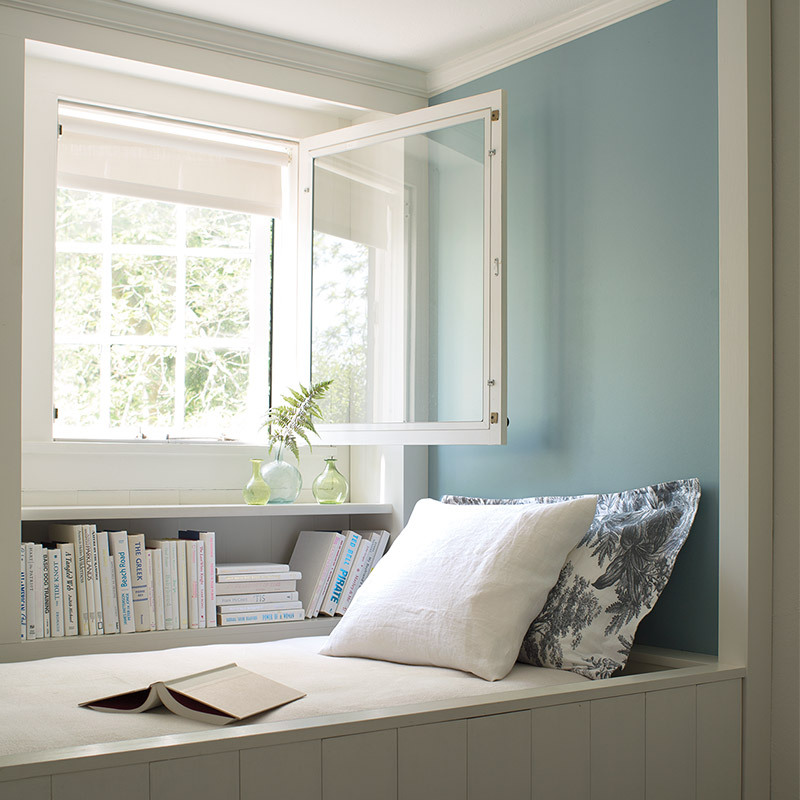 This year Benjamin Moore does not disappoint. The 2017 Colors for BM are gorgeous! Believe it or not, I used Gentleman’s Gray ( 2062-20) last year in my basement. There was a concern it may come off too dark, but I just love how it turned out. The color is so rich and it really makes that big basement room cozy. My first pic up top is from BM’s site showing the Gentleman’s Grey (NOT my basement). Other favorites from this year include Sea Star – 2123-30, Guacamole 2144-10 and Iceberg 2122-50 (which I used to paint an office last year). Here’s a pic of Sea Star below. 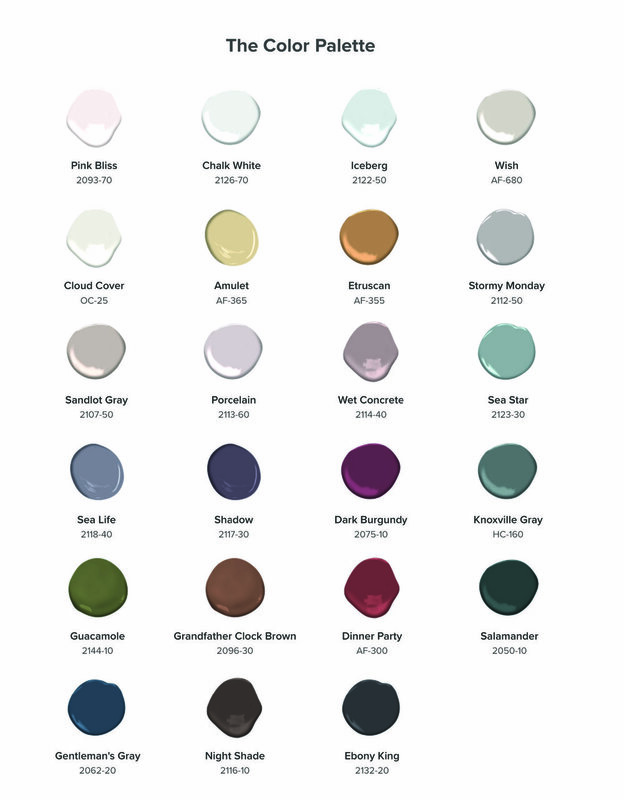 If you are ever stumped for inspiration, check out the color collections available to you at your paint store. For a person like me, who has a serious paint addiction, they can be a great resource.